I recently made this shaker card for my friend's birthday. 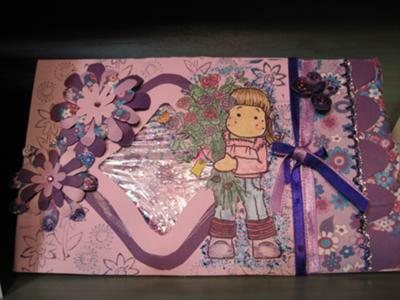 - The card I made of purple and lavender cardboard paper..
- Magnolia stamped, and I colored her in with watercolor pencils..
- I handmade the 2 flowers..
- And the paper on the front I stamped and lined with glitter..
- Last I added a purple and lavender ribbon..
Join in and write your own page! It's easy to do. How? Simply click here to return to Homemade Birthday Cards. Hi! 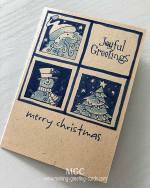 Welcome to my card-making website. My name is Flora and I'm an avid crafter and love creating stuff with paper. I love to connect with you so do sign up for my e-newsletter which is totally free and receive fresh news every month. 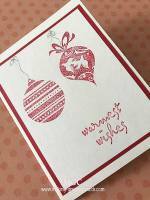 2 different Christmas card holder designs with templates to download and print. 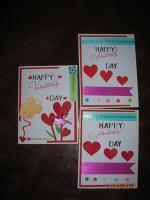 Make these to display your handmade greeting cards or trading cards. 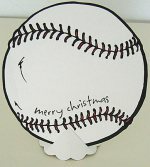 Some unique business Christmas cards to send out to corporate or company clients. Christian Christmas verses - use these in your Christmas cards to convey the true message of Christmas and share God's love. © 2004-2018 Flora Tan www.Making-Greeting-Cards.com. All rights reserved.